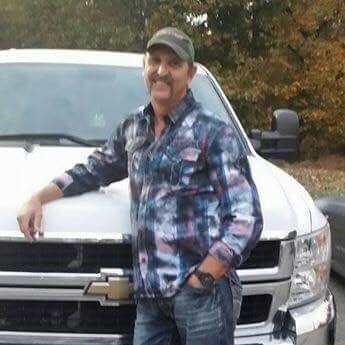 David Smith Petty, 54, of Clarksville, TN, passed away on Sunday, March 25, 2018, at Skyline Medical Center. David was born on November 17, 1963, in Paducah, KY to Freddie Petty and Jonnie Puckett Petty. Celebration of Life Service will be held on Saturday, March 31, 2018, at 3:00 p.m. at the Neal-Tarpley-Parchman Chapel with Jimmie Edwards, Darren Gilmore, Dennis Minnick, and Rev. Steve Lannom officiating. Visitation will be held on Saturday, March 31, 2018, from 12:00 p.m. until the hour of service at the funeral home. David started his career with the Montgomery County Rescue Squad. He then went to the Clarksville Police Department, spent 13 years with the Montgomery County Emergency Services, and spent 19 years with AT&T. In addition to his parents, David is survived by his wife of 25 years, Tammy Petty; son, Chris Petty; daughter, Rachel (Chase) Defrancesco; two sisters, Theresa (Terry) Dabbs and Robin (Marty) Moore; and two grandchildren, Annaleigh Defrancesco and Elizabethe Hunter Defrancesco. The family would like to acknowledge Houston County EMS, Houston County Fire and Rescue, Horizon Medical Center, Tristar Skyline Medical Center's Trauma ICU, as well as all the other first responders. The family would also like to thank all the family and friends for the prayers and support shown during this difficult time.